Inspired by the chunky outsole trend, we created the Pico sneaker. 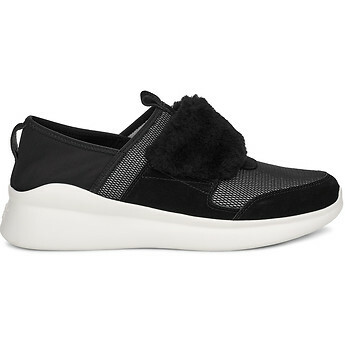 Crafted from springy neoprene and soft suede with tufts of luxurious sheepskin, this UGG iteration of the sporty shoe delivers our iconic wearing-experience in a playful and versatile silhouette. Pair with both denim and leggings.